Super filly Winx had the favourite punters cheering and her connections celebrating when she scored a runaway win in today’s Group One Queensland Oaks (2400m) at Doomben. 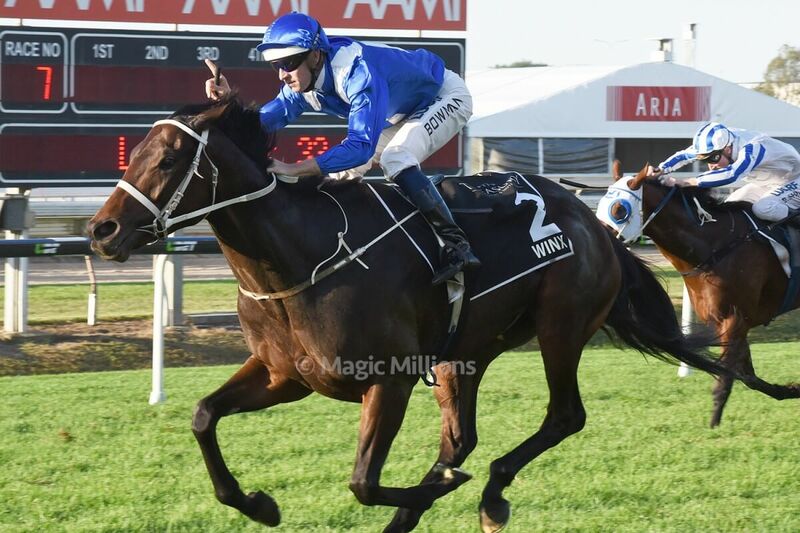 In the second half of the field for much of the race, Winx came with a strong run to reel in the leaders and then race away for a three and a half length demolition of her rivals. 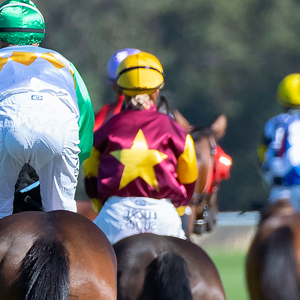 The filly was sent out the warm favourite after a stunning last to first win in the Group Three Sunshine Coast Guineas at Caloundra on May 16. A start earlier she made up a heap of ground when second in the AJC Oaks. “Good horses make things look easy. She was very dominant,” Waller added. The win was the fourth at group level in just 12 starts, from six overall, for the gorgeous filly. Her earnings have soared past $1 million with her Oaks triumph. Winx was bred by the Camilleri family’s Fairway Thoroughbreds – the same breeders of champion juvenile colt Vancouver. He was raised at Coolmore Stud and sold through their draft at the 2013 Magic Millions Gold Coast Yearling Sale for $230,000. She is by Street Cry – sire of Aussie based stars including Shocking, Whobegotyou, Pride of Dubai and Long John as well as international champions Zenyatta and Street Sense among 89 stakes winners. Winx’s dam Vegas Showgirl, a daughter of Al Akbar, won two races at two and trained on to win seven, including two at stakes level before being retired to stud. Winx is one of her two named foals and first runner. Vegas Showgirl was purchased by leading bloodstock Colm Santry on behalf of Fairway at the 2008 Magic Millions National Broodmare Sale from the draft of Dormello Stud for $455,000. A winner on the Sunshine Coast during a career which netted black type in Sydney when second in a Sheraco Stakes, Vegas Showgirl is a half sister to the stakes performer Black Magic Maggie. In other news from Doomben, stud bound entire Whittington gave his new connections plenty to celebrate when he scored an impressive win in the listed Lightning Handicap (1050m). Prepared by John Thompson, Whittington came home strongly on the rails under the urgings of Ric McMahon to win the race by a widening two length margin and in doing so stopped the clock in a track record breaking performance. 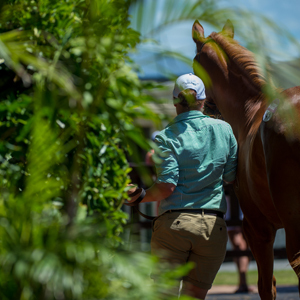 Whittington, a former Sydney stakes winner and Magic Millions Sprint winner for Denise Martin’s Star Thoroughbreds syndicate, was purchased a stallion prospect for $100,000 at January’s Magic Millions Summer Racehorse Sale. A son of Tale of the Cat, Whittington is headed to Grandview to stand his first season at stud this spring – he could have bowed out a winner – with connections to decide whether he is retired immediately or has one more start. From the stakes winning Beautiful Crown mare Maha Chakri, Whittington kicked away his career in style by winning the Breeders Plate at his first start for the Gai Waterhouse stable – something he has in common with the likes of Sebring and Pierro. 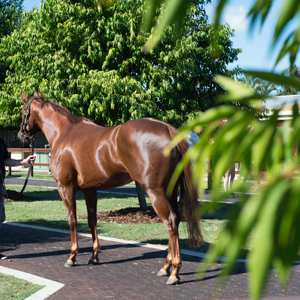 As a three-year-old he ventured to Queensland and scored a race record win in the Magic Millions Sprint. Exciting Gold Coast youngster Sagaronne will back up in next Saturday’s Group One JJ Atkins Stakes after a stirring win in the listed Phoenix Stakes (1350m) at Doomben. 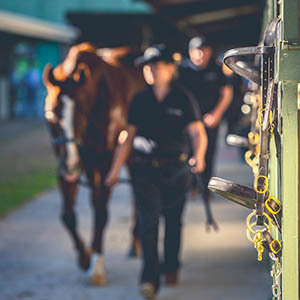 Sent out an $11 chance after a brilliant fresh win at her home track on May 9, Sagaronne came with a well timed run between rivals to score a valuable juvenile stakes victory. 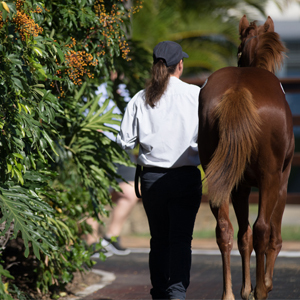 Trainer Toby Edmonds purchased Sagaronne for $82,500 at the 2014 Magic Millions Gold Coast March Yearling Sale from the draft of Glenlogan Park. The good looking youngster is the fourth stakes winner for her sire, former exciting Tale of the Cat youngster Real Saga. She is the third winner from three to race for the stakes winning Oarsman mare Lasoron – a winner of seven races and earner of over $347,000. As well as Sagaronne she is the dam of Brisbane winning juvenile Grapevine and multiple winner Flash of Heart.